SAY WHAT NOW? 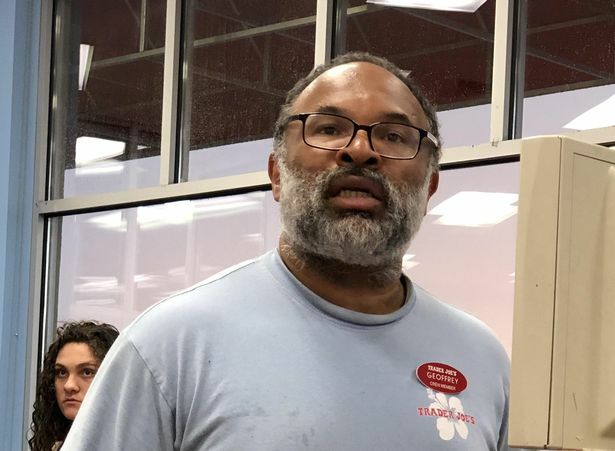 Elvin From the Cosby Show Works at Trader Joe’s In New Jersey! - T.V.S.T. SAY WHAT NOW? 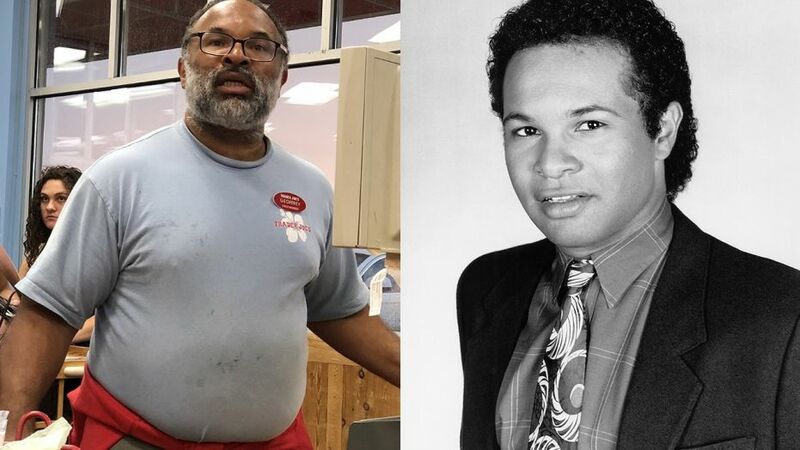 Elvin From the Cosby Show Works at Trader Joe’s In New Jersey! Once I say Elvin, you know exactly who I’m talking about. Elvin Tibideaux. He was the guy dating Sondra, the eldest daughter of the Huxstable clan. 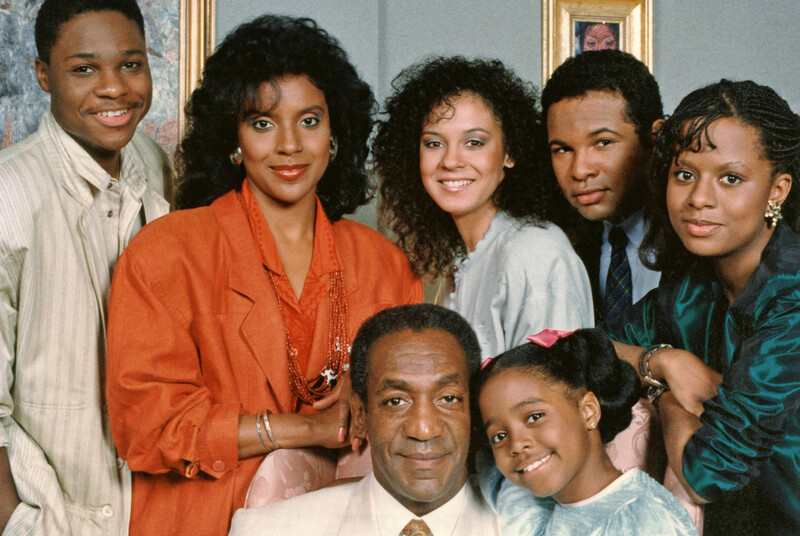 He was known for clashing with Claire Huxtable on his antiquated views as it relates to the roles that men and women play in modern day society. Elvin and Sondra would eventually marry and have twins; a story line that played all the way to the final episode. Elvin, who’s real name Geoffrey Owens was in 44 episodes of the show. To put that in perspective, the show ran for 197 episodes, so he was in over 20% of the shows. He must be caked up right? Fast forward to 2018, and Geoffrey is now 57 and was recently spotted in a Trader Joes in Clifton, New Jersey. He was literally running the cash register in the checkout line, with a name tag that read “Geoffrey”. Owens is married to Josette Huber who today works in various areas of show business as well. So is this really news? Yes and no. I would never clown a man for holding down a 9 to 5 the honest way, it’s just newsworthy because you would think that an actor on literally the number 1 rated comedy and arguably one of the greatest black sitcoms ever, would either have enough money not to have to work or would have enough industry contacts to find gainful employment without wearing a name tag and having to worry about your draw coming up short $2.00 when it’s time to go home. Maybe he owns the place? Eitherway, I’m sure business at that location will pick up. I’d go just to see him…. because that was my show, Elvin was my dude, and I’m nosy AF.